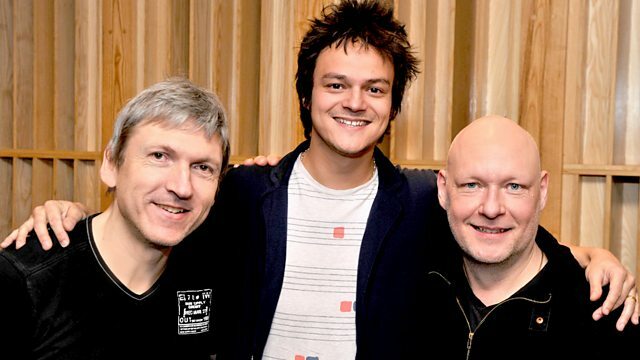 Jamie is joined by bassist Dan Berglund and drummer Magnus Öström of Swedish jazz group the Esbjörn Svensson Trio (or e.s.t), at the BBC's Maida Vale Studios. This week, Jamie is joined by bassist Dan Berglund and drummer Magnus Öström, of Swedish jazz group the Esbjörn Svensson Trio (or e.s.t), at the BBC's Maida Vale Studios. Jamie talks to the pair about their influence on jazz around the world, the tragedy of losing their pianist Esbjörn Svensson, and their new release of unheard e.s.t recordings, entitled 301. Dan, Magnus and Jamie use the opportunity to perform together, with a very special session track together at the end of the show. From Gagarin’s Point Of View. Esbjörn Svensson Trio Plays Monk.